Such an essential tool must be used properly. Email is not IM, treat it differently, respect your time. Don’t check it every now and then. I suggest disabling unread badge too. Don’t look at your inbox while writing new message. I will tell later how software cal help with it. Clean your inbox regularly. Missing something can be painful. Setup notifications. Even waiting for important message can be productive with right notifications tuned individually. Disable all notifications except important. On OS X I use default Apple Mail. Since it’s preinstalled I used it for years. When it started eat too much space from my MacBook Air I tried Gmail in browser, then Mailplane. In the end I returned to Mail and I’m happy with it. Problem with disk space can be fixed with one settings option. It’s not necessary to store every attachment on your drive. 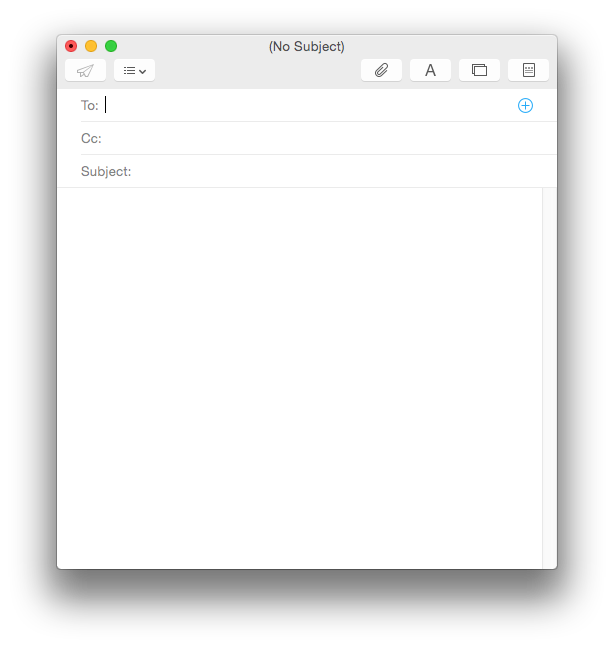 My favorite thing about Mail — composing new message with a single click. And I don’t need to look at my inbox. 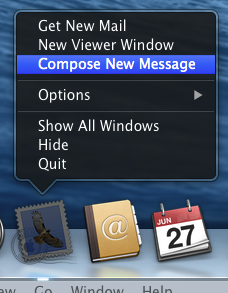 Right click on the Mail icon in the dock will open contextual menu, selecting Compose New Message will do the trick. It can be trickier on iOS, still it’s possible and I’ll tell you how. For many years iOS Mail was exiting, powerful and fast. Who knew we can have desktop class apps in our pockets? Nevertheless now iOS Mail looks stalled. You are never done. Not an Apple fault, most of a users don’t need extra features. That’s why we have App Store. 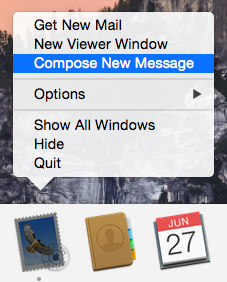 You don’t have to open Mail to compose new message. Drafts is number one app for any text input. It can send emails too, without making you feel bad because all messages you didn’t answer. At this moment I’m using Dispatch. I also tried Gmail and Mailbox apps. Mailbox stopped developing after it got acquired. I think developers wasted all the time on Android and still doesn’t fixed such main issues as drafts and TextExpander support. Gmail is worth. I couldn’t use it even for a day. The app from Google is lack respect to the platform. It’s look and works weird. Of course it’s not ideal. Dispatch design looks little bit unfinished and too sharp and I don’t like hamburger menu button. Hiding send button is controversial but make sense for saving space. 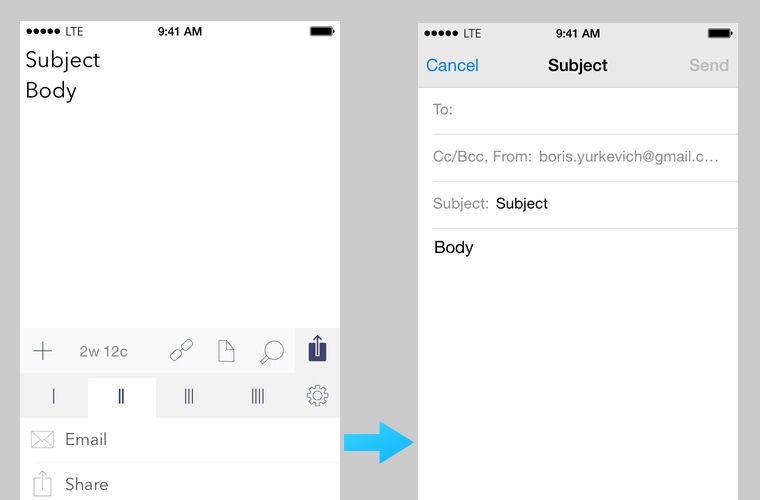 I think iOS 8 adds to Mail just enough power most of a users need. I will defiantly try it but if Dispatch will make an iPad version and will add swipe down gesture I will continue using it. I installed Yosemite on virtual machine. All settings are same but new fresh look is a step in a right direction. You can see a difference in two screenshots. 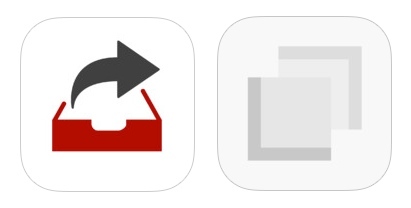 Dock icon contextual menu no longer black, looks nice and readable. New Message window got streamlined iOS look.